The Internet is a wonderful thing. It allows you check stuff, like the claims of quacks, in a way that was not possible just a few years ago. This blog entry would have taken many months of library work and correspondence without the web and some of its amazing content, and now I can do it between mowing the lawn and popping down the pub for a pint. the most important work of my life. It is a project that may actually change the face (and the heart) of medicine and may make homeopathy a household word. This is a bold statement…and yet, I sense deeply that it is true. The feedback that I have received to date has further confirmed this. The book is given a forward by the Queen’s Physician and Clinical Director of the London Homeopathic Hospital, Dr Peter Fisher. Charles Darwin could not have written Origin of Species without the homeopathic treatment that he received from Dr. Gully (based on Darwin’s own letters!). This is a very important claim as obviously Darwin is a hugely important icon within the wider sceptic community. Darwin’s achievements are a huge intellectual monument to the power of rationality over superstition, religion and unreason. To claim that Darwin is on the side of homeopaths ought to be a big blow to us doubters. Ullman’s claims are spreading quickly amongst the homeopathic community to tell of the revelation that the Great Scientist is actually on their side. But is this true? Well an hour on a sunny Saturday afternoon reveals a lot about Dana Ullman’s research methods for his ‘most important work’. You see, just about everything that Darwin ever wrote is available online. Not just his books, but his letters, and letters sent to him. The words to and from scientists, doctors, his family and wife are all there – we can peer into his personal thoughts. 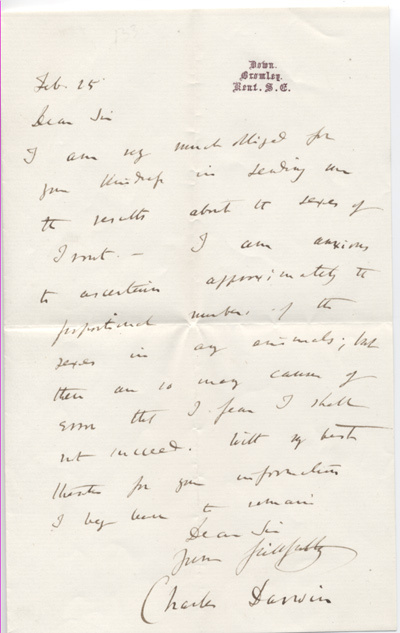 The University of Cambridge gives us the Darwin Correspondence Project. We can check out Dana’s claims. So, a bit of background. Darwin was a sickly man for most of his life. He suffered from stomach cramps, vomiting and other symptoms that made it difficult for him to work. Some have suggested that his symptoms were brought on by the stress of work and the difficulty of facing the controversial nature of what he was doing. It has been suggested too that he was suffering from a disease he picked up when on his Beagle voyages in South America. Whatever the cause, his doctors could not do anything for him. I have resolved to go this early summer & spend two months at Malvern & see whether there is any truth in Gully & the water cure: regular Doctors cannot check my incessant vomiting at all. Dr Smith, I think, is sensible, but he is a Homœopathist!! I grieve to say that Dr Gully gives me homoœopathic medicines three times a day, which I take obediently without an atom of faith. I most sincerely hope that your health is pretty good: mine is much better, thanks to the inestimable Water Cure, than it has been for several years, but I see that I shall never have a sound stomach & therefore never be really strong again. If Darwin’s health problems were related to overwork and stress then some time away from his work and a rest in the countryside may well have done the world of good. Nonetheless, Darwin attributes his improvement to Dr Gully and the Water Cure because he continues to take the treatment over the coming years. It’s good to see a glimpse of Darwinian humour with his ‘Homœopathetic ‘ jibe. I wonder what Darwin would make of the ‘future fools’ who still follow homeopathy despite the incredible advances made over the last 150 years in physics, chemistry and medicine? You speak about Homœopathy; which is a subject which makes me more wrath, even than does Clair-voyance: clairvoyance so transcends belief, that one’s ordinary faculties are put out of question, but in Homœopathy common sense & common observation come into play, & both these must go to the Dogs, if the infinetesimal doses have any effect whatever. How true is a remark I saw the other day by Quetelet, in respect to evidence of curative processes, viz that no one knows in disease what is the simple result of nothing being done, as a standard with which to compare Homœopathy & all other such things. It is a sad flaw, I cannot but think in my beloved Dr Gully, that he believes in everything— when his daughter was very ill, he had a clair-voyant girl to report on internal changes, a mesmerist to put her to sleep—an homœopathist, viz Dr. Chapman; & himself as Hydropathist! & the girl recovered. Darwin obviously sees Dr Gully as a friend, but just cannot understand why he would believe in such an obvious nonsense. What is also enlightening is Darwin’s understanding of how you might make a start at a trial of homeopathy. Homeopathy makes claims that can be tested, despite its inherent implausibility. And, he fully recognises that anecdotal evidence is not enough. This is well before the invention and standardisation of the Randomised Controlled Trial. Homeopathy might well be the same as ‘doing nothing’, and you need to fully understand how a disease would take its own course to assess claims of efficacy. Sometimes Dr. G. exclaims she will get through the struggle; then, I see, he doubts.— Oh my own it is very bitter indeed. Despite all of Gully’s quackery, little Annie died. It was a turning point in Darwin’s life. No longer could he believe in a benevolent god. Intellectually, he was ready to publish his life’s work that would provide the underpinning of modern biology. Dana Ullman’s claim is that Darwin was cured by a homeopath and without homeopathy we would have no Origin. The truth is that homeopathy may have played a pivotal role, but only in its utter failure to save the life of Darwin’s precious daughter. Darwin was torn with doubts whilst working on his theory about the effect it would have on his wife, who was devout, and on the religious authority and structures in society in general. Having his own faith ripped away was an important removal of a barrier to publication. Of course, the death of children in the Victorian age was indeed common. Scientific medicine was in its infancy and had barely made an impact on the lives of people. We were at the time when it was first realised that cholera could be stopped by reducing infection from contaminated water sources. A real understanding of disease was emerging and it had nothing to do with vital forces, miasms and the humours. But, this still was the golden age of quackery with there being no clear divide between doctors and quacks. As far as Darwin was concerned, Gully was trying plausible but new treatments, like the Water Cure, alongside utter nonsense, like homeopathy. But it is indeed Darwin that paved the way for the emergence of modern medicine. By providing us with a naturalistic and non-supernatural view of our origins, Darwin placed humans firmly within the realm of phenomena that could be examined and understood by science. The careful and methodical work that he performed on barnacles, earth worms and pigeons could be put to work on understanding the human body. Before the publication of the Origin, humans were spiritual creatures under the mercy of ‘God’s will’. Annie’s death may have had wider implication for us all. So, what will Dana Ullman have to say in support of his claim that we owe Darwin’s works to homeopathy? It is true that Darwin took homeopathic cures, but it is also obvious that he only did this as part of the hospital regime he was in and that he was utterly contemptuous of the practice. We know that Darwin felt somewhat better after his stay at the Malvern hospital, but Darwin believed this to be due to the Water Cure. Darwin self administered the cure over time whenever he felt he needed it. He did not do the same with homeopathy. Maybe Dana will claim that it actually was the homeopathy that helped Darwin whether he believed it or not. But this would just be the usual homeopaths’ mistake of post hoc reasoning and practitioners’ wishful thinking as there is not a shred of evidence that this is true. For Ullman’s ‘most important work’ and a book that will ‘change the face (and the heart) of medicine’, it would appear that this book is no more important, or intellectually rigorous, than the celebrity endorsements of quackery found in Hello, OK! or the Daily Mail. Maybe Dana has found some letters that do support the idea that Darwin was a fan? But I have not found them and I have been through nearly eighty letters of his that talk about Dr Gully and ten or so more that talk about homeopathy. I have found nothing to suggest that Darwin was a believer. And the beauty of it is, and the moral of the story, is that you do not have to take my word for it. You can go and check too. My full review of Dana Ullman’s book can be found here. On the The Reckless Physicking of Amateur Females. We would be the Sceptics answer to Jedward, if I had any Hair. dear black duck, this is one of your best articles to date. Ullman is a quack of the lowest sort, and traducing Darwin in order to push his own delusional belief system is despicable and incredibly stupid. I only half agree with your assessment of Chuckie D, however; read his grandfather Erasmus’ fascinating book Zoonomia and you will see that Razzie D actually did a great deal of the intelllectual ground-work; and that at a time when the religious proscriptions were even stronger than in Charles’day. I would also suggest that Louis Pasteur has a rather greater claim to be the one who paved the way for modern medicine! Since writing this, one of the links I referred to has changed. Sue Young, a London based homeopath, has a blog and wrote about Ullman’s book. Now, she has a complete article on Darwin and homeopathy, using pretty much the same quotes as me. She starts off with the line, “Charles Darwin was very interested in homeopathy”. She claims Darwin continued to research homeopathy and the evidence is that a German Homeopath sent a letter asking him to publish his book in England after it fell flat in Germany. Darwin reads like he is somewhat taken a back. Anyway, Sue’s article is interesting insofar as seeing the spin she gives on pretty much the same sources. Note also how she confuses Darwin’s research on dilute substances with homeopathic infinitesimal dilutions. Darwin makes no claim at all that he is dabbling in homeopathic concentrations. He is not that stupid. An informative and well written article. What Ullman seems to miss is that it doesn’t matter what Darwin believed or not. It seems to be the same fallacy as the creationists fall into (albeit in reverse). They think that of they can show that Darwin was wrong about something, the whole theory of evolution must be dismissed. They go after the man rather than the ball. Darwin was wrong about lossa stuff. If he had believed in homoeopathy it wouldn’t make an iota of difference. He’d have been wrong. Just what is about celebrity worship that so appeals to people?! Wonderful article, LCN (BTW, I can’t type that without thinking of “La Cosa Nostra”…) – and grade A gold-plated archive digging. Gives the lie to Ullman’s ludicrous co-opting of Darwin. You do have to feel sorry for poor old Chuck D – in one week he gets signed on by the homeopaths, and then accused by the US Christian right of being the direct forebearer of Hitler (see Ben Goldacre’s blog for links). Thankfully in the scientific pantheon it is the truth of Darwin’s central ideas that counts, so I guess he can take the hits. PS Why am I not surprised that the ever-ludicrous Sue Young can read the same excerpts (probably on your blog) and bare-facedly go on counting Darwin in for superstition and witchcraft? Yes, of course. We must take Darwin in the context of his time. Even if he did not denounce homeopathy, it has no bearing on either the truth of evolution or homeopathy. What is so fascinating is how he is able to dismiss homeopathy with such clear sightedness. It is such obvious nonsense, even to someone without the benefit of modern atomic theory, biology or medicine. Today’s quacks have no excuse but utter ignorance. Or they are plain fraudsters. What a wonderful and illuminating article. Now I must chase that quotation from Quetelet. Oh, thank you so much for this piece. While Ullman’s use of Darwin is not as dumb as those legends of deathbed recant that creationists spam, it is more egregious. Like much of what he writes, Ullman is carefully selective in a way that makes me think he is THIS close to being smacked upside the head by his cognitive dissonance (which whispers to him that homeopathy is the quackiest of the quackeries). Either that or he already knows it but cannot come clean for fear of hurting family, friends and others he has duped along with himself all these years. A whole book of arguments from popularity, from misplaced authority, testimonials. Yawn. As Sili says, why is it soo hard to see that it matters not what folks BELIEVE; reality wins. “So much ridicule has been thrown upon the pretended powers of the minute doses that I shall only touch upon this point for the purpose of conveying, by illustrations, some [sense of scale]. It must be remembered that these comparisons are not matters susceptible of dispute, being founded on simple arithmetical computations, level to the capacity of any intelligent schoolboy. ..Let us suppose we take one single drop of Tincture of Camomile [a well known remedy of the time], and that the whole of this were to be carried through the common series of dilutions. For the first dilution it would take 100 drops of alcohol. For the second dilution it would take 10,000 drops, or about a pint. For the third dilution it would take 100 pints. For the fourth dilution it would take 10,000 pints, or more than 1,000 gallons, and so on to the ninth dilution, which would take ten billion gallons, which would fill the basin of Lake Agnano, a body of water two miles in circumference. The twelfth dilution would of course fill a million such lakes. By the time the seventeenth degree of dilution should be reached, the alcohol required would equal in quantity the waters of ten thousand Adriatic seas. Trifling errors must be expected, but they are as likely to be on one side as the other, and any little matter like Lake Superior or the Caspian would be but a drop in the bucket. – Yet this is given only at the quadrillionth, or fourth degree of potency, and various substances are frequently administered at the decillionth or tenth degree, and occasionally at still higher attenuations with professed medicinal results. Is [this not] as great an exception to all the hitherto received laws of nature as in the miracle of the loaves and fishes? Ask this question of a Homeopath, and he will answer by referring to the effects produced by a very minute portion of vaccine matter, or the extraordinary diffusion of odors. But the vaccine matter is one of those substances of which it is a peculiar character to multiply themselves, when introduced into the system, as a seed does in the soil. Therefore the hundredth part of a grain of the vaccine matter, if no more than this is employed, soon increases in quantity, [and] it does not produce its most characteristic effects until it is already in sufficient quantity not merely to be visible, but to be collected for further use. Yes, I do make the claim that Darwin probably could not have finished his ORIGIN OF SPECIES if not for the homeopathic treatment that he received in 1849, 10 years before completion of his seminal work. Your article here missed MANY other references to Darwin’s experiences with homeopathy and Dr. Gully, but heck, when you don’t do adequate homework, you get only a partial picture of reality. The question becomes: do you really want to know what is true, or do you simply want to hold to your religious (unscientific) beliefs that homeopathic medicines don’t have biological action and clinical efficacy? It is more than a tad ironic that people here are criticizing my statement without reading my book (which is due out in mid-October). This is sadly typical of “quackbusters” who again show an unscientific (and uninformed) attitude towards homeopathy, while claiming to be “defenders of science” (that’s high potency chutzpah!). As for Oliver Wendell Holmes, he was embarrassingly ill-informed about homeopathy, and his anti-homeopathic book was written simply 6 years after becoming a physician. My forthcoming book will change the tune you’re whistling. My previous comment appears to have disappeared before I edited it. Damn! However, I’ll try again as a sense of balance is required in this debate. My children were sick (vomiting etc) and I watched them, gave them fluids and miraculously they were cured. They’re too young to understand homeopathy and so it had nothing to do with a self-fulfilling prophesy. I was amazed that plain household water had cured them, along with watching them (which was obviously important too). Then I realised something: the Sydney water supply comes from the dams. Dam water from rain. Rain from evaporation in the ocean and the ocean water…from the water we flush into the ocean from our houses. Obviously, the more you dilute something the greater its potency. Thus, all the homeopathic treatments that had been flushed down the toilets around Australia had become more potent after going through the water cycle and then out of my household taps. I’m astounded that this works so well and is free. Amazing. Truly amazing. Naturally I told me friends and they’ve found the same thing. They also watched their children and I’m convinced by this evidence, that watching children has the capacity for increasing the effect. Please take note of my research (I have a post-graduate research degree, by the way, as does my wife – she has two) and so my research is obviously well supported and thus a natural adjunct to your own work. I require only a small regular payment and acknowledgement of my efforts. Dana, welcome to the quackometer. We look forward to your book with interest. In the meantime, if you would care to forward me the relevant draft chapter or passages on Darwin, I will of course take down this article or amend it if I am proved wrong. At the moment, a Google search for ‘Charles Darwin and Homeopathy’ brings up this page as number one. Surely, getting rid of this page would be good for your sales. If you can provide the evidence of my lack of research and missed references, I will be glad to retract. Dana Ullman. What relevence is it that Oliver Wendell Holmes wrote his book “simply six years after becoming a physician”? In what way are the critics of homoeopathy unscientific? Double blinded tests have been carried out on homoeopathic remedies and shown that they are no better than placebos. This backs up the analysis re Avogadro’s constant which shows that such remedies contain no active ingredient at all. Since the remedies are just water or sugar pills, and they don’t work, it is the homoeopaths who are being unscientific in their insistance that their remedies can cure anything from acne to AIDS. All the celebrety endorsements in the world are not going to change that fact. Le Canard Noir said: “Anyway, Sue’s article is interesting insofar as seeing the spin she gives on pretty much the same sources. I think that’s going to feature in Dana’s book as well. Over at JREF he alluded to “the experiments that Darwin conducted using homeopathic doses”, but said that he wouldn’t disclose them until his book was published. I have to say I after many, many conversations with homeopaths, I am usually greeted with insults, such as “jealous”, “uninformed”, “ignorant” rather than undeniable proof of homeopathy working. Shame that, isn’t it. Secondly, how can Mr Ullman say that WE are religious and unscientific when at least most orthodox treatments are undeniably proved and at least most have a methodical understanding of how things work. Surely it is homeopaths that are the uninformed and religious believers? Some of the people in the chapter on “Physicians and Scientists” in this book who have benefited greatly and/or have advocated for homeopathy include such as Charles Darwin, Sir John Forbes, Sir William Osler, Emil Adolf von Behring, Sidney Ringer, Charles Frederick Menninger, August Bier, Royal S. Copeland, Grant Selfridge, William J. Mayo and Charles H. Mayo, C. Everett Koop, Brian Josephson. Because Darwin had had 12 years of persistent nausea, this statement is significant, and he goes on to say that he had no nausea for a complete month (something that had not happened under any other treatment). This is MUCH more to say about Darwin and his experiences with Dr. Gully…and with the homeopathic physician who took over Dr. Gully’s practice…and encourage anyone who is interested to read my new book. Predictably enough, your review of Darwin showed inadequate scholarship by leaving out any reference to Darwin’s own experiments on homeopathic doses (whooops). Once again, if anyone out there is SERIOUS about learning about this important research, please do some homework. I was amazed that plain household water had cured them, along with watching them (which was obviously important too). Then I realised something: the Sydney water supply comes from the damns. Damn water from rain. Rain from evaporation in the ocean and the ocean water…from the water we flush into the ocean from our houses. Obviously, the more you dilute something the greater its potency. Thus, all the homeopathic treatements that had been flushed down the toilets around Australia had become more potent after going through the water cycle and then out of my household taps. Dana, we get the message, you have a new book out. You can stop promoting it everywhere now! And when I read up on homeopathy, I won’t be reading what comes across to me as the literary equal of “OK” magazine! I will be reading more into homeopathy using some texts on the syllabus for new training homeopaths and make my further decisions based on those. What must do what one must do to correct the amount of mis-information on homeopathy that you and others are creating at this website and others. And because it is challenging to respond adequately in a couple of paragraphs to complex medical, scientific, and historical issues, it makes sense to refer people who are really interested in these subjects to books, either ones that I have written or other valuable resources. I do notice that I continue to make refenence to specific research studies (as I did at the Guardian’s blog) and at this website to accurate historical information, while Matt Bee complains that I am promoting a book and offer little real value to the dialogue. Wow…what a crime…I’m commiting the sin of trying to educate people and to encourage them to read. And as for OK magazine, I wish that they would report on why many of the most famous physicians and scientists in the past 200 years have used and/or advocated for homeopathy. Heck, each chapter in my book has 50 references to a wide variety of mostly academic literature, but I’m not clear if you do homework or not. Finally, I put my own name on my blogged entries. Come out of the closet, my friend. Well done Dana, sock it to them. The denialists will never admit they could be wrong so best thing is just to ignore them and carry on doing great work. The good thing from all the anti homeopathy stuff is people are asking “what is this homeopathy they are all talking about?” I have never seen so much interest in homeopathy as in recent years and have never been so busy in my clinic. I note that the work Darwin was experienting with on plants is now being done by a dutch homeopath. I guess the denialist will say that is all placebo too…lol. I am currently doing my homework, sir, and I am making what I believe to be informed decisions. And I am constantly finding that there are far more studies that support and books to reference for homeopathy than against. And eaxch I pick up presents generic “Case studies” and no meaningful data in my eyes. The very fact that the FSoH requires members to abide by their code of conduct stating they must not imply that Homeopathy can cure any named disease confuses me. No homeopath has yet explained why. The principle like cures like has been attributed to Hippocrates (among many others) – who was right about the four humours needing to be in balance, wasn’t he. I am sorry, but you can throw all your literature at me, and there is a lot of it, but I don’t think it will change my mind if it is at all like what I have already read. Who knows though, following the completion of my reading I may even write a book too. And it won’t be fiction or based on the number of celebrities and cultural heroes that shunned homeopathy. Or maybe it will be. And the name on it will be Matt Bee – because that is my name, I know, wierd, isn’t it! We cannot and do not claim to cure any diseases as we treat people not diseases. Dana – you ask what can be done to correct the ‘misinformation’ on this site. Well, if you read my comments above, I have told you exactly what you can do. I have also emailed you privately to ask for the extracts from your book that prove my above article is wrong. You have failed to provide any evidence that anything I have said is incorrect, despite being given a straightforward opportunity. My guess is that if you did bother to send me anything, rather than just going round the web on a mission of self-publicity, you will mention Darwin’s experiments on dilute solutions. However, to talk of this as if it was proof of Darwin’s support of homeopathic principles would not only expose your ignorance of science, but of homeopathy too. Any homeopath will tell you that dilution is not the same as homeopathic succusion. Like Jeanetter Winterson, you have co-opted the science term nano to talk of homeopathy. Have you any idea what this means? Or are you just misleading? 1) I like communicating with people who are not anonymous. I would like to know WHO you are. If you wish me to keep this private, I will honor that request. 2) My writing on Darwin required a significant amount of academic review of historical literature, all of which I reference. If I have written about material about which you have not yet written, I ask that you acknowledge my book as an additional reference to your writing on the subject (I believe in giving credit where credit is due…that is the academician in me speaking). 3) Because you and your website seek to provide critique of the science behind homeopathy and other natural medicines, I couldn’t help but notice that you have not yet provide any detailed critique of the Shang article in the Lancet (2005) that compared 110 homeopathic studies and 110 allopathic studies…which then determined that only 21 of the homeopathic studies were “high quality” and only 9 (!) of the allopathic studies were valid. But Shang NEVER gave us a comparison of THESE studies. Instead, he choose to include only those studies in which there was relatively large subjects and in which only 1 homeopathic medicine was given without any of the individualization of treatment that is common in practice. Finally, he evaluated only 8 homeopathic studies and 6 allopathic ones…which were no longer matched in any shape, way, or form. I will be curious about your thoughts on where this study fits into your quackometer. You see…I am very interested in creating a dialogue…but the ball is back in your court. Finally, I will need to send my Darwin information to you directly and privately (it is under copyright and is not intended for publication or distribution in its entirety). Dana – I am not anonymous. I give my name and an email address that you could have used. I am not sure what other personal biographical information you need that will make any difference whatsoever as to whether Darwin was a supporter of homeopathy or not. I will keep anything you send private and not publish the full text. I am only interested in what evidence you have the Darwin was a fan of homeopathy. I could not help but notice that your website has remained totally silent in its analysis of the Shang article (2005) in the Lancet which compared 110 homeopathic studies with 110 conventional medical studies. The irony here is that Shang and team self-selected each trial, and yet, their own analysis found that more than twice as many of the homeopathic studies were rated by them as “high quality,” and yet, they didn’t ever devulge which studies these were or what their results were. Your silence is very loud. Your silence on the BBC’s “test” of homeopathy is also very loud. It isn’t hard to figure out why you choose to avoid providing any support for or analysis of these junk science studies. I just hope that you try to maintain the same high standards of analysis of the anti-homeopathic world as you do the pro-homeopathic world, but heck, that would be asking you to be objective and really scientific. Will we all have to wait for Godot? Dana – you are changing the subject and you are wrong. The authors have disclosed the studies selected. Go and read the paper and the responses. If you are so certain that the 21 high quality homeopathic studies and the 9 high quality conventional medical studies have been made public, you know something that others do not. Perhaps you can then explain how the 21 homeopathic studies compared in results with the 9 conventional studies. Once again, if you know, please tell because the authors of the Lancet article have not divulged this information. Aren’t you a bit curious why they have kept this information a secret? And while you’re at it, please defend the BBC’s test of homeopathy. You haven’t done so because it is indefensible as my evidence has clearly proven. Can I ask a simple question. Can homeopathy cure a stomach ulcer, common cold or migraine? First, the system of homeopathic medicine is a method of treating SYNDROMES, of which the disease is a part. The most effective homeopathic treatment is one in which a medicine is prescribed for your unique pattern of symptoms of your cold, migraine, or ulcer. That said, homeopaths commonly treat successfully people with these diagnoses, though there is no one remedy for each “disease.” In fact, we think that it is sloppy scientific thinking to assume that there is a one-remedy fits everyone idea…except in rare and specific cases, such as Oscillococcinum in the treatment of the flu or Kali bic in the treatment of thick tracheal secretions in people suffering from COPD…and select others. Was THAT an adequate answer, or were you asking what research has been done in the homeopathic treatment of these diseases? There have been some studies on the homeopathic treatment of colds and of migraines, most of which have shown some benefits, though some trials have not. One homeopathic manufacturer in Germany has done some impressive research using an herb called butterbur (used in herbal, not homeopathic doses). Google it. The authors do disclose the included trials in an appendix (The Lancet 2005; 366:2083-2085). As director of Homeopathic Educational Services I find it surprising that you were not aware of this fact. Which takes me back to what this post is about – your assertion that Darwin was a supporter of homeopathy. You claim you have research that proves this. I find this most unlikely given my analysis above. You have said you were willing to send me the evidence. You have not. What you are trying to do is change the subject. (see The methodological quality – good or otherwise – of the Shang review or the BBC TV programme, has absolutely no bearing on the Darwin question – or the efficacy of homeopathy for that matter. So, I will not be drawn into such side issues anymore. Either Darwin was a supporter of homeopathy or he was not. The evidence does not look good for your book. I think you need to directly address the question. So, Dana, I don’t see the problem. If your evidence is reasonable, I will amend or even withdraw this article, and blog that you were right. What have you got to loose? You assert that Shang, et al gave their references to the 21 high quality homeopathic studies and the 9 high quality conventional medical studies, but you are wrong (please apologize to the crowd). The reference that you gave was only for the 8 finally chosen homeopathic trials and the 6 finally chosen conventional trials. It is embarrassing to note which studies that they selected, including a weight-loss study and two flu prevention studies (they tested Oscillococcinum for it, even though this medicine is primarily given in the treatment of the flu, not in its prevention). Shang and others never explained why they selected the finalized 8 homeopathic trials, when there were many other high quality and large populatation studies that they could have chosen…but they had an axe to grind, and heck, they grinded it. Shang and crew had previously alerted the Lancet’s editors that they were conducting an evaluation of homeopathic and conventional medical studies and that they expected to disprove homeopathy. To do this, they rigged the deck, and they STILL have not divulged which 21 and 9 trials (above) were selected nor what results these high quality trials had. The Lancet normally requires transparency, but they make an exception when it comes to homeopathy. One of these days, YOU will help lead the attack on orthodox medicine/science for their junk science reviews of homeopathy, that is, if you ever decide to be objective as a scientist. If you can prove me wrong to any of the above statements, I will apologize here, but if you are wrong, I hope that you will consider providing a formal apology, and I ask that you help us make this study transparent (this is reasonable, isn’t it?). As for my Darwin info, I will send it to you shortly. You’ve promised to pull or change your article if my writing warrants it, though I am a bit concerned how your strong anti-homeopathic biases will slant your reading and understanding. Dana – you are nitpicking and continuing to avoid the cenral issue here – your scholarship over Darwin. You make the assumption that somehow my belief that homeopathy is an utter nonsense is somehow affected by the quality of any particular trial. The point is that you do not need a trial to understand that it is bunkum. Darwin knew that – as pointed out above – you appear to not to know that. We are awaiting your evidence still. For all of you who were wondering…a week ago I emailed Paul the entire section about Charles Darwin from my book, “The Homeopathic Revolution.” He is obviously digesting it well. I encourage everyone to hold off on commenting on this subject until he comes forward with his feedback. Up until now, he (and others) have worked from only a very partial view of Charles Darwin and his experiences with homeopathy and Dr. James Manby Gully. — In March of 1849, he had suffered for 12 years from persistent nausea and vomiting, heart palpitations, and widespread boils, and for two years, he had had fainting spells and spots before his eyes. — Just 8 days after he began treatment from Gully, Darwin experienced a skin eruption (homeopaths refer to “externalizations” such as skin eruptions as a “healing crisis”), and Darwin began to experience considerable relief of his very long-term ailments. — Despite Darwin’s own very positive experiences with Gully and homeopathy, Darwin did not want homeopathic treatment for his children. When Darwin’s child became ill and later died, it should be noted that I found no evidence that homeopathic medicines were used, which suggests that they were not used (if Paul finds something on this subject that I didn’t, I would love to see it). — Darwin’s experiments with Drosera (sundew) where he used extremely extremely small doses of different amonia salts and found dramatic effects. He replicated his experiments, hoping to find some errors, and he had his son do likewise. Then, he noted that “I am quite unhappy to having to report on” these experiments. He was cautious to never refer to them as homeopathic doses, for if he did, how do you think other scientists would respond to his own contributions? There is a lot more that I can say about this subject, but I encourage those of you who are serious scientists and historians to read my book yourself and make your own judgments. In my chapter on physicians and scientists, you will also learn about some of your own “cultural heroes” who spoke or wrote about homeopathy and/or who advocated for it in various ways, including Sir William Osler (“father of modern medicine”), Harvey Williams Cushing, MD, Emil Adolph von Behring (“father of immunology”), Sidney Ringer, MD, Charles Frederick Menninger, MD, August Bier, MD (the “father of spinal anesthesia”), Royal S. Copeland, MD, Grant Selfridge, MD, William J. Mayo, MD and Charles H. Mayo, MD, C. Everett Koop, M.D., Brian Josephson, PhD. There is a fine line between shameless promotion and helping to educate people who may benefit from being educated. Whooops…my above posting said that I sent my chapter dealing with Darwin to “Paul” when I meant that I sent it to Andy Lewis, le canard noir. CD and family arrived in Malvern on March 10, 1849. Please note that he wrote this BEFORE he began the “sweating process” (he was just at the beginning the hydrotherapy program). Darwin’s improvement also occurred before Gully recommended that Darwin give up his snuff (which he recommended in May 1849). “I feel certain that the Water Cure is no quackery.” Please note that I wrote that CD “had to admit that Gully’s treatments were not quackery after all.” That statement is correct. By April 19, 1849, he had turned into an eating and walking machine! 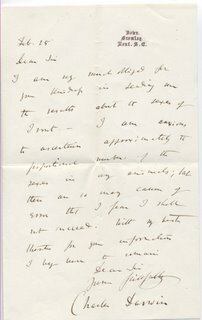 On May 6, 1849, CD writes: “Dr. G., moreover, (and I hear he rarely speaks confidently) tells me he has little doubt but that he can cure me, in the course of time, time however it will take.” Gully, like many homeopaths/hydrotherapists, do not tend of over-state their confidence. Although Gully seemed to be confident with Darwin and although one might stretch the truth to believe that Gully’s “confidence” was the primary treatment of Darwin, the fact of the matter is that Gully didn’t use his “confidence” as a common treatment strategy. Andy…you (and others) like to make reference to PART of the quote below…but it is important, even essential, to note the entire quote. Even though CD acknowledges that homeopathy makes him “wrath,” he notes that people seem to get better from the treatment (please also know that the “clairvoyance” seems to be diagnostic, not any type of “psychic” treatment). One important reason that so many people are so passionate about homeopathy is that the results are often very rapid and very obvious, and because many people have tried many other treatments before homeopathy (treatments that might have just as likely to have tried to elicit a placebo effect), the homeopathic treatments often work because it is not simply a placebo effect. Some people have referred to Gully as CD’s “friend.” There is no evidence that they were “friends.” CD admired Gully, but I haven’t seen any records of a personal relationship…have you? People should stop the MYTH that my book is about “celebrities.” Celebrities are but one group of people who are in this book. There are also physicians and scientists, politicians, corporate leaders, literary greats, and so many other smart and successful people. For people unfamiliar with Charles Darwin’s history, his seminal book, Origin of Species, wasn’t published until 1859, ten years after he received treatment from Dr. James Manby Gully. The fact that Charles Darwin was skeptical of homeopathy suggests that the placebo effect is an unlikely explanation. The more likely explanation is that homeopathic treatment provides real benefit. Thank you Charles Darwin for recording your life in such detail. Surely Darwin’s decision not to employ homeopathy to treat his perilously ill daughter strongly suggests that, contrary to Dana Ullman’s claim, Darwin didn’t believe that homeopathy was effective. How does saying Darwin had positive experiences with homeopathy square with Darwin not wanting homeopathic treatment for his children? Every biography of Charles Darwin that references his health acknowledges that the one physician who provided the best treatment to him was DR. JAMES MANBY GULLY. This is not controversial. This is fact. Finally, Gully continues by asserting, “Homeopathic practitioners have observed that patients under the water cure are more susceptible to the action of their remedies than other persons, and that therefore the results may be more accurately calculated. I have found this assertion to be substantially correct; and it confirms the vivifying influence of the water cure over the bodily functions” (page 48). The people on this list love to quote Andy’s article at this website, and he has done a good job of missing many references that are in my book and others that are at my newly revised and expanded article on this subject. Dana – I think it would be good to stop now. No matter how many times you re-write your book, it will always be the case that Darwin thought homeopathy was quackery and you will have nothing but wishful thinking that Darwin was helped by homeopathy. Wow…thanx for letting me have the last word…I’m impressed. Now, nobody can say that Darwin’s favorite doctor wasn’t a homeopath and that despite Darwin’s skepticism for homeopathy, the results and Darwin’s confirmation of these results stand…and stand tall. I will soon be adding more information to my article, including some amazing information about John Chapman, the famous editor of the WESTMINSTER REVIEW, whose publication probably did more for the promulgation of Darwin’s work than any other source. Although biographical information about Chapman always mentions that he was a doctor, they NEVER mention that he was a homeopathic doctor. In fact, he was even Gully’s homeopath (according to Desmond & Moore’s bio on Darwin, p. 392). John Chapman was a very interesting man…and a leading homeopathic physician. In any case, I hope that I helped educate some people here who are less fundamentalist than you. According to Darwin’s letters, what treatment did Chapman prescribe for Darwin? The only treatment that Darwin writes about from Chapman is his use of ice…which initially had some benefits but didn’t adequately work for him. There is no reference to homeopathic medicines from Chapman. Ultimately, Darwin sought Chapman’s care for only 2 months. Although such short-term treatment can sometimes lead to significant improvement (as was shown by Gully’s treatment of Darwin with homeopathic medicines AND hydrotherapy), Gully notes that sometimes a clinician has to use BOTH together for the best results. Ok…so you tested my knowledge. Now, please respond to Gully’s statements about the importance of homeopathic treatments, either alone or with hydrotherapy. It is interesting to note that many quackbusters love to hate naturopathy as much as they hate homeopathy. Yet, ironically, naturopaths are training in both hydrotherapy and homeopathy, the two treatments that provides the best benefits to your favorite cultural hero, Charles Darwin. So, at least, do I hear a cheer for naturopathic medicine? What evil men Gully and Darwin must have been, according to Dana! Despite the fact that, according to Dana, they both knew that homoeopathy was a highly effective method of treatment, they conspired together to deprive Darwin’s own daughter of this treatment, with the result that she died. You really should try not to contradict your own arguments, Dana. According to you, Darwin was a supporter of homoeopathy, but dared not mention this because he feared ridicule from other scientists. 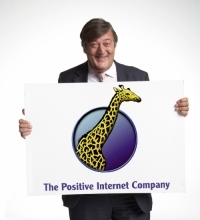 Why, then, would he be “unhappy” about finding evidence that, according to you, is supportive of homoeopathy? Ahem, there seems to be a lack of scholarship here, though not as bad as Dana. Firstly, Darwin was well enough to travel to his father’s funeral in 1848, but arrived late and stayed with his sister who was also too overcome to attend the funeral. After his initial stay at Gully’s Malvern clinic in 1849, he made a day visit then spent a week there in the following year. Not exactly years of treatment. In 1851 he took his daughter there for treatment for chronic indigestion, three weeks later she got bilious fever and despite repeated optimistic statements from Gully, died after a series of crises. In 1857 Darwin was as ill as ever and returned to hydrotherapy, having quick success with Dr. Lane whose regime did not include homeopathy. Over three years, as he overworked on ”On the Origin of Species”, he made repeated visits there, and if any treatment can be claimed to have saved him to write the book, Lane’s has better evidence. After completing the book he went to Ilkley, having an “odious time” with treatment which may have included homeopathy, and avoided such treatment until in 1863 he was so ill that his wife Emma persuaded him to go to Malvern. Since Gully was ill (a mental breakdown according to Darwin’s cousin Fox) treatment was given by Dr. Ayerst who was apparently another homeopath, with Gully approving the treatment. Darwin had a complete breakdown, and left the spa worse than when he’d arrived, with serious illness which continued until the Spring of 1866. Not a terrific advertisement for homeopathy. It was in 1865 that Darwin consulted Chapman to try the bags of iced water on the spine for seasickness cure. Chapman seems to have tried a range of quackery in his time. He expected to die himself shortly…but thanks in part to the treatments given to him by Dr. James Manby Gully, he lived and lived long. Heck, he didn’t even complete his book until 1859, 10 years (!) after his visit to Gully. Although Darwin’s entire health are dramatically improved during his 2 months under Gully’s care, Darwin’s indigestion and nausea returned shortly after leaving. However (! ), Darwin never again complained about the fainting spells, the spots before his eyes, and many other serious symptoms that he had experienced before seeking treatment. Darwin’s problem is that he went back to Dr. Gully for treatment 7 years later. Although Gully was not able to recreate a similar significant benefit to Darwin’s health this time, it is extremely difficult to expect results for short-term treatment. Dave, you mentioned that Darwin also sought treatment from Dr. John Chapman. You neglected to mention that he too was a homeopathic doctor, though there is no evidence that Chapman prescribed homeopathic medicines for him. Instead, he recommend ice pack treatments. Still, it is important to note that John Chapman was also the editor of The Westminster Review, which was the publication which probably did more than any other of its day to promote Darwin’s thinking and work. Ultimately, history shows that Darwin may not have lived long enough to have written his seminal work if not for treatment by a doctor who used water-cure and homeopathy, and his work may not have seen the adequate light of day if not for an editor who was also a homeopathic doctor. Skeptics of homeopathy have a tough time accepting this information about their hero, but you cannot rewrite history, even though several people here have valiantly (but ineffectively) sought to do so. Readers, however, know better. You’re babbling, Dana. Chapman was not Murray, and his quackery included such eccentricities as the rubber bottles of iced water to be applied for seasickness. About as effective as homeopathy. Whooops…it seems that your brains fell out. John Chapman, not Murray (! ), was the editor and owner of the Westminster Review when Darwin’s book was published, and this magazine was directly connected to the introduction of Darwin’s ideas to the intellectual community. Yeah, you may say that Chapman was a quack, but the real quacks were the “regular doctors” who bloodlet and prescribed mercury. I laugh that it was a homeopath who treated Darwin and another homeopath who helped to popularize him. I previously expressed concern that some people here are trying to rewrite history, but Dave, you’re just making it up out of thin thin air. Actually, it appears that he arrived at his father’s house on the day of the funeral, but after the cortege had left for the church, and that at least part of the reason for the delay in traveling was that he was waiting for his wife to return from a trip of her own. According to Janet Browne’s biography of Darwin, when Darwin heard the news of his father’s death, “He felt sad and ill, to ill to move. Erasmus would go straight to Shrewsbury for the funeral. he would have to follow on afterwards alone. Whatever happened next is not certain. Darwin definitely stayed at Down for a few days before setting out for Shrewsbury, waiting for Emma to return from a visit to her sister’s, and he definitely passed through Erasmus’s house in London the day before the funeral. He may have missed his Midlands train or been delayed. Either way, he arrived in Shrewsbury after the cortege had left the family home for the church of St. Chad’s. See Janet Browne, Charles Darwin: Voyaging, p. 490. Hmmm I would suggest Charles Darwin’s daughters death may have been to do with the fact his wife Emma Wedgewood was his first cousin! Indeed the whole family were heavily into inbreeding due to their fascination with eugenics. Twenty-six children were born from these first-cousin marriages, yet nineteen of the offspring did not reproduce: five died prematurely, five were unmarried and considered somehow deficient, and nine married without issue. Indeed, among the sixty-two aunts, uncles, and cousins in the four generations founded by Josiah I and Sarah Wedgwood, thirty-eight remained childless. Regarding Darwin’s view of homeopathy I can only assume his rabid scepticism blinded him to its true efficacy. His letters prove he had experiemented successfully in the amazing power of the minimum dose but he was essentially am establishment clone who would never countenance anything like homeopathy on a scientific basis. An interesting footnote. Since the 1870’s I believe the longevity of Britons over the age of seventy has gone up one year. That’s 160 years of alleged medical advancement. If that isn’t a damning indictment of allopathic medicine I don’t know what is. The man who overturned the entire world view of how we came about and you call him ‘an establishment clone’? That’s like saying Winston Churchill was a secret communist or sympathiser with Fascism. It has gone up nearly six. However, this does not take into account the deaths in childhood and the early years which have been reduced significantly. Modern medicine, science and engineering as well as education have improved early life expectancy enormously. Additionally you completely ignore that the life expectancy following disease and illness has been immeasurably increased. Any scientific or medical advance has a difficult birth, but the ability to replicate, reproduce and massively recreate the effects has eased it along the road to acceptance. When there are multiple example of independent research to the same extent as there is with ‘real’ medicine and science, then homeopathy will quite easily be able to show it ‘just works’. You’ll find that the great majority of people are easily convinced by proof. Only a small number require little. Antony – yet more idiotic statements from a homeopath. Darwin ‘blinded by scepticism’? An ‘establishment clone’? Are you joking? How can you seriously suggest the man whose scepticism of establishment views on the origins of life led to one of the greatest intellectual achievments of all time. You very shallow man. And as for the life expectancy thing. Even if it were true, which it isn’t, you fail to consider the probability of reaching 70. More ad hominen attacks I see. How childish. Darwin was a complicated man but clearly a eugenicist and it came up and bit him badly. Regarding his achievements evolution is an opinion. It certainly isn’t fail proof. I say again. One year advance in age that in no sense can be attributed to your ‘drugs.’ Pretty crap don’t you think but hey that’s why you have the BMJ and other pathetic organisations to cover up. Anyway I can see you’re seething with incandescent rage. By the way the greatest medical experiment on the human body; vaccination. Any RCT prove their efficacy?? Antony – you are clearly an idiot. Evolution an ‘opinion’ and not ‘fail proof’? Please take your silly nonsensical thoughts elsewhere. How can allopaths question homeopathy when vaccination; the largest experiment ever conducted on the human body has never been proven scientifically in RCT’s?? to the theme of this post, please expect them to be deleted in the future. I really don’t like your tone and I do not like to be called an idiot by anyone frankly. Why are you allopath’s just so damn rude? I suggest you go read the Darwin letters. They categorically prove he was using homeopathic preperations and was discovering to his amazement their action on drosera. It’s categorical and indisputable. It’s there in pen and ink. Darwin inadvertently proving at least one of the basic tenets of homeopathy. Ahhh. A comment that is relevant! Much better! As any good homeopath will tell you, homeopathic preparations require successive dilution and succussion. Furthermore, to be properly homeopathic, a preparation must be individualised and matched to a specific symptom picture. All Darwin was doing was using dilute substances and well above the Avogadro limit – something perfectly acceptable and scientific to do. Only the blinkers of homeopathic ‘thinking’ allow you to see this as evidence of homeopathic beliefs and evidence of homeopathy. The letters of Darwin are quite clear. He was as rude to them as I have been to you. You see that’s bordering on infinitessimal in a plant without a nervous system. Certainly not as you claim ‘way above avogadro.’ Regarding sucussion Darwin was not a Homeopath! He was not trying to cure the drosera. Just making observations. Being rude just highlights your gross ignorance. There have been five large meta-analyses of homeopathy. All but one have concluded it acts better than placebo. The shang et al that didn’t was methodologically unsound. Even meta which are so poor at analysing homeopathy has concluded homeopathy is better than placebo. I’d suggest you give up the ghost but I don’t expect it. ‘bordering on the infinitesimal’ is not the same as beyond infinitesimal. Darwin’s experiments are consistent with the atomic theory of matter and biological action. Homeopathy is not. If you were to repeat Darwin’s experiments, would that prove homeopathy or just show some plants chemical systems can be highly sensitive to low doses of salts? If you were to do the same experiments with sub avogadro doses consistently then you would have a case – but no-one has and no-one can. As for your meta analysis comments. Off topic, but worth responding. There is no consistent conclusion from meta-analyses that is unequivocally supportive of homeopathy. Shang is only dismissed by homeopaths who do not like its results. Others are either weak or dismissive of homeopathic claims. Give references if you wish to persue this. That is the post to discuss meta analysis. Not here. Shang et al only used 16% classical homeopathic prescribing. As even you have to admit that is a ludicrous starting point. Regarding bias the scientists who conducted the meta admitted a bias against homeopathy therefore their wittling down of 110 trials to 8 homeopathy and six conventional is farcical. They also admitted the homeopathic 8 were better quality than the conventional trials. In addition they picked one particularly scaving arnica trial and dismissed some very thorough trials that were very positive. Meta based on 8 or six trials is totally unscientific. You can’t have it both ways; throwing out trials for bias when the organisers are clearly biased themselves. The debate is over on shang. Only rabid drug dealers of the worst kind quote from it now. Shang had a clearly stated methodology and picked trials according to it. Homeopaths do not appear to get this. Anyway, would not want to get between you and taking money off your customers anymore. Hope you are having fun. Regarding Shang et al you don’t get it do you. Homeopaths treat individuals not disease states so of course the trials set according to the toxic pill pushing methodology is going to produce innacurate results. Anyway this is funny. If you check the BMJ website below you’ll see only 13% of NHS treatments is rated as beneficial. A horrendous statistic. I am sick to death of homeopaths trotting out the same old canards after the stupidity of their claims have been pointed out a thousand times. ‘treating individuals’ is homeopathic rhetoric. What does it mean? If I am an individual with malaria, I would like my malaria to disappear please. Call it treating me as an individual or a disease, i do not care. Just make sure I do not die. And that is the point about trials. DBRCTs make absolutely no assumptions about the nature of the treatment or the nature of the measured outcomes, whether it is based on the ‘individual’ or a more objective measure of the presence of, say, malarial parasites, or even death. It is perfectly possible to test homeopathy with trials. Say what you want to achieve (e.g. reduce death)and then measure it in a blinded fashion. Its that simple. Why do you now get it? My feeling is that you do get it but you are a dissembler, Antony. As I said earlier, posts not relevent to the discussion of Charles Darwin and homeopathy will be deleted. And the change of life is total. You may have finished your bottle of port daily for twenty years, but at the Water Cure you must perforce practice total abstinence. For years you may never have tasted fair water, but here you will get nothing else to drink, and you will have to dispose of your seven or eight tumblers a day. You may have been accustomed to loll in bed of a morning till nine or ten o’clock; but here you must imitate those who would thrive, and ‘rise at five:’ while the exertion is compensated by your having to bundle off to your chamber at 9.30 p.M.
You may long at breakfast for your hot tea, and if a Scotchman, for your grouse pie or devilled kidneys; but you will be obliged to make up with the simpler refreshment of bread and milk, with the accompaniment of stewed Normandy pippins. You may have been wont to spend your days in a fever of business, in a breathless hurry and worry of engagements to be met and matters to be seen to; but after a week under the Water Cure, you will find yourself stretched listlessly upon grassy banks in the summer noon, or sauntering all day beneath the horse-chestnuts of Sudbrook, with a mind as free from business cares as if you were numbered among Tennyson’s lotus-eaters, or the denizens of Thomson’s Castle of Indolence. And with God’s blessing upon the pure element He has given us in such abundance, you will shortly (testibus Mr. Lane and Sir E. B. Lytton) experience other changes as complete, and more agreeable. You will find that the appetite which no dainty could tempt, now discovers in the simplest fare a relish unknown since childhood. You will find the broken rest and the troubled dreams which for years have made the midnight watches terrible, exchanged for the long refreshful sleep that makes one mouthful of the night. You will find the gloom and depression and anxiety which were growing your habitual temper, succeeded by a lightness of heart and buoyancy of spirit which you cannot account for, but which you thankfully enjoy. Sounds delightful – we now pay thousands of dollars a week for places like this. 1. go to a garden centre and buy a sundew plant (drosera rotundiflora). It has to be fresh. 2. Buy a bottle of liquid ammonium carbonicum 6C (that is one in hundred six times). 3. Drop some tap water on the leaves of the plant and wait – nothing will happen. 4. Drop a few drops of the﻿ ammounium carb. 6C on the same leaves and wait – the same leaves will react and close. Of course, the outcome of such an experiment has absolutely nothing to say about homeopathy – only the sensitivity of sundews to very dilute solutions. Do the same experiment with a 12C or even a 30C and then you are talking. Are you a homeopath brave 'Anonymous'? Do you not undertand the issues here? 'Anonymous' seems to have taken note of your comment: after making the same claim on the Guardian website, they modified their claim to include 12C remedies. Of course, that result would contradict Darwin's account of the experiments – he found that there was a level below which Drosera did not react. In fact, I suspect that the original 6C claim might contradict Darwin's account: a homeopath's website they later cited claims that the dilutions Darwin used were "equivalent to a 7th homeopathic decimal dilution". Note, "decimal" and not "centesimal". sceptical I remain – but note the alternate tones of those who seek to either exaggerate or decry the issues of what science has to say with regard to the properties of water..
One point – as far as I am aware the ‘succussing’ (vigourous shaking, or “energising”) aspect of “dilution” is seen as critical to how strength is supposedly increased by every increase in such dilutions, by homeopaths – yet it never seems to enter in these long running face-offs.. why? the research on the memory and other surprising aspects of water do not necessarily support those who argue for Homeopathy – but they do contradict what the cynical anti-quackery people tend to say they “know” because they have read all the scientific research ever done. Recently, when the Cerne experiments suggested that Neutrinos may have defied C and place Einstein’s general theory in doubt – we had some then who merely dismissed it as “impossible” – but the genuine scientists remained sceptical – not aggressively cynical. Darwin’s backing for one angle or another is a rather sad appeal to authority – genius insight he may have had, authority on science of the 21st century he was not. Excellent post!! I think I might have to write about this. And thanks for the reference in the comments you made about the one who used the same quotes as you but got a totally different result. Indeed it’s interesting to see the differences in how we perceive the information we find. Luckily, the lowest common denominator is evidence and reason.